Get E-mail Alerts When Edward Poll, J.D., M.B.A., CMC -- Law Firm Management Expert Sends news releases. 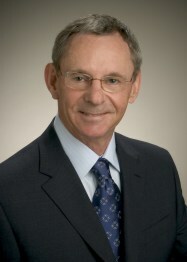 Ed Poll, J.D., M.B.A., CMC, is a nationally-recognized expert in law practice management. He helps attorneys and law firms increase their profitability consulting with them on issues of internal operations, business development, and financial matters. Poll brings his clients a solid background in both law and business. He has 25 years experience as a practicing attorney and has also served as CEO and COO for several manufacturing businesses. In 1990 he founded LawBiz® Management Company and is now focused on coaching, speaking, and training in law firms, for bar associations and at universities. Recipient of the Lifetime Achievement Award from the State Bar of California (LPMT Section). See also the management vignettes on YouTube offered by LawBiz® Management and Ed. http://www.lawbiz.com/newsletter.html>Click here to read more about the LawBiz® Tips.